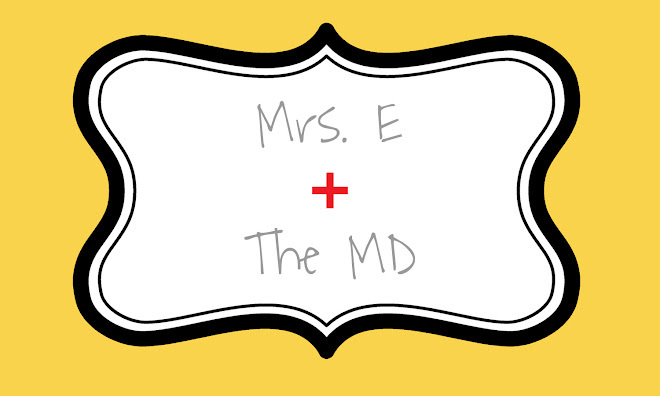 Mrs. E and the MD: Happy Sunday! Hello, hello, hello! It's a beautiful Sunday morning...and I am sitting on my couch with my laptop on my...lap! I should be outside soaking in the sun, but right now it is pretty enough just to look at. Two months ago, I was in Kiawah with family. Now I am on the cusp of a new school year. I don't feel as prepared as I wanted to be at this point, but I still have two 1/2 days to work in my room on Monday and Tuesday. I also need to keep reminding myself that I don't HAVE to have the whole school year planned on the first day of school. I am just so nervous about meeting my new set of students and their parents! It is such a crazy day...I only wish the kids knew that the teachers have just as much anxiety as the students. However, I suppose it is a good thing that the kids don't know that... they can already smell fear. This week, we celebrated Clare's 21st birthday with a family dinner at Bravo. Luke's grandmother, both Aunt Marcias (yep...we have two! ), Uncle Hugh, and cousins Melissa and Zach came from New Albany...as well as Liz and her precious boys, Gus & Sol! Cousin Aaron and his wife, Ellen, who live in Indy, and Abe & E, CeCe, and a couple friends also made the dinner. It was a great crowd! Turning 21 is a big deal around here! We finished the night off with a Coldstone cake, this time it was mint chocolate chip. YUM! 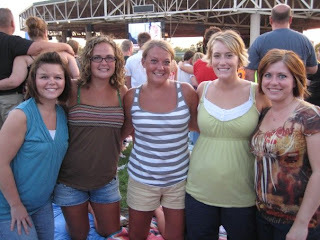 Last night was the final summer concert, Brad Paisley. 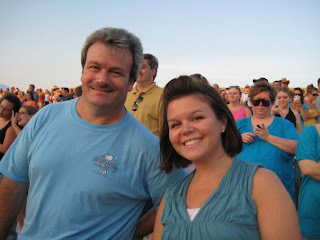 It was really fun, great weather, no excess of drunk idiots like the George Strait concert. We had a really awesome time. It was a nice show to end on. Well, we are off to church and then to Candace & Damon's for an end-of-summer cookout with friends. It is bittersweet to see summer on its way out, but fall is on its way, which means football, sweatshirts, apple cider, and pumpkins. BRING IT ON! Beginning to look a lot like Fall!